Most people have heard of Internet marketing at one point or the other but don’t really understand what it is or how it works. In this article, I am going to explain what Internet marketing is all about and how it works. First, let us take the words one after the other. Internet: Think of Internet as all (well, almost all) the computers in the world connected together. That is to say, all the information you access online are stored on a computer or computers somewhere in the world. Those computers are generally referred to as servers. The term we always use when accessing information online (i.e. browsing) is just a process by which those information stored on a computer can be accessed. Marketing: In simple terms, marketing is the process of advertising products and services. For example, if you post pictures on a website about a body spray, cloths or shoes that you sell, you are advertising goods. But is you can repair computers and you let people know about it using any medium, you are advertising services. With the explanation above, we can see that Internet marketing is just a way of using the Internet to advertise your goods (i.e. the products you produce or sell such as cream, soap, electronics, etc) and services (this can be your what you do best such as car repairs, driving, electrical wiring, etc) with the aim of getting customers who can buy them or individuals or organisations that are interested in hiring you for your services. The internet has made it pretty easy to take offline businesses online and enjoy the benefits of online marketing. Students should also know that starting a blog as a student gives many advantages and online marketing can provide all that. Many people keep asking this question; How do I advertise on the Internet? Well, you have found the right place for your answer. Most of these channels are free which means you don’t have to pay a dime before you can advertise your goods and service on them. These channels that people use to market their products on the Internet are many but in this article, I will discuss just a few. · Facebook (free): Facebook has made advertising a little bit easier for us as we can post pictures of our products and even videos of the products on the website and share it with friends who in turn share it with their friend and your advertisement might end up been seen around the globe since every country on the planet uses Facebook. You can just take a picture of the product with your phone, write a description of it and your contact details and post it on Facebook and potential customers will read about it and contact you if they are interested in buying your product. You can even advertise your services the same way. Websites have proven to be a very effective Internet marketing tool. The cost of owning a website these days has drastically reduced because of the emergence of many website hosting companies and the competition between them. this has made starting a blog an easy task to accomplish. Owning a website these days can cost as much as low as $0 per month to over $ 20 per month depending on the type of website, security, uptime and some other factors. For more information, read how to own a website where we have explained in details what you need to have your own website. You can also read on how to have a website for free. Most of us like to learn by getting visual explanations on how thing work or how we can carry out a particular task. YouTube is a website that gives us the opportunity to make videos, put it on the site so people looking for explanation on something and would like to see it done can see the videos and contact you if they are interested in it. 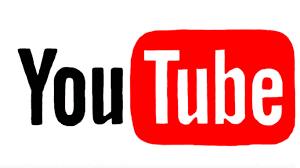 All you need to do is create an account on YouTube, make a video and upload it to the website. this is called youtube marketing. Internet marketing in Africa and the world in general has grown tremendously in the past few years. Anyone willing to take advantage of it should go right ahead. You may become the next internet marketing millionaire. The things mentioned above are just small as there are numerous channels you can use to market your products and services online. Please remember to subscribe to our newsletter where we send you the latest articles to you first. You can also drop a comment or ask a question in the comment section below and it will be my honor to reply you and help in any way I can. Thank you.